Does Low Sodium & High Potassium Have Anything to Do With Addison Disease? Addison disease, or primary adrenal insufficiency, is an uncommon disorder in which your adrenal glands slowly fail. The outer area of your adrenal glands, the cortex, produces the hormones cortisol and aldosterone, as well as small amounts of other hormones. As your adrenal glands fail, these hormone levels fall to abnormal levels. Inadequate production of aldosterone leads to low sodium and high potassium levels. The primary treatment for Addison disease is hormone replacement. Aldosterone acts on your kidneys, causing retention of sodium and urinary excretion of potassium. With Addison disease, a low aldosterone level leads to loss of sodium in your urine and abnormal retention of potassium. Your blood levels of these electrolytes become increasingly abnormal as the disease progresses, with a low sodium level and a high potassium level. When it comes to body fluid balance in your body, where sodium goes, water follows. Therefore, the urinary sodium loss that occurs with Addison disease also causes excessive excretion of body water. With reduced total body water, your blood pressure may drop to an abnormally low level. Dizziness or fainting may occur when you rise to a standing position or sit up after you have been lying down. A low sodium level also commonly causes muscular weakness, fatigue, headache, irritability, poor appetite, nausea and vomiting. A high potassium level may cause a slow or irregular heartbeat. Blood tests help your doctor determine whether you have Addison disease. 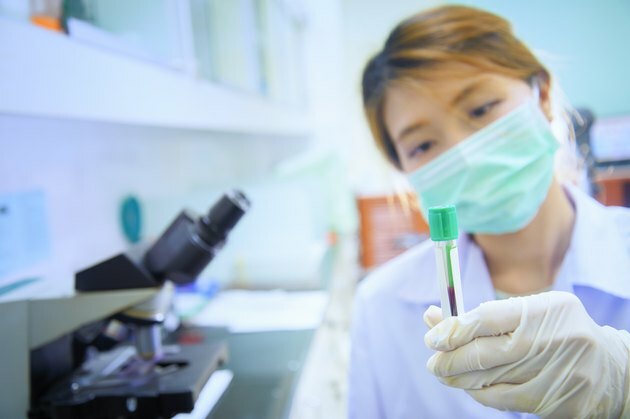 In addition to checking your blood and urine sodium and potassium, your doctor is likely to check the levels of your blood glucose, adrenal hormones and certain pituitary hormones. An ACTH stimulation test assesses your adrenal gland function and helps your doctor make the diagnosis of Addison disease. An attack on the adrenal glands by your immune system causes most cases of Addison disease. Remarkably, symptoms typically do not develop until roughly 90 percent of your adrenal cortex has been destroyed. A genetic disorder called polyendocrine deficiency syndrome can also cause Addison disease. Tuberculosis, fungal infections and cancer are rare causes of primary adrenal insufficiency. The symptoms of Addison disease usually develop gradually. However, a major physical stressor, such as a serious infection, illness or accident, can provoke rapid advancement of your disease known as an Addisonian crisis. Possible symptoms include severe abdominal and back pain, shock, abnormal body temperature, nausea, vomiting, confusion, seizures and loss of consciousness. An Addisonian crisis is a potentially life-threatening medical emergency.